Located in the center of the island of Mallorca where you can learn the traditions and customs of the peoples of the interior. 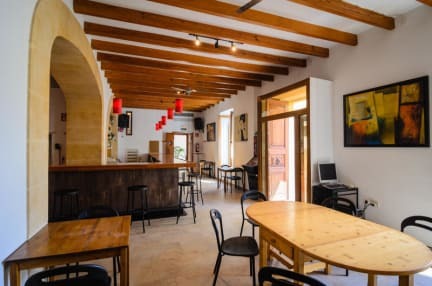 Hostel Embat is set in Montuiri, 29 km from Palma de Mallorca. Guests can enjoy the on-site bar. 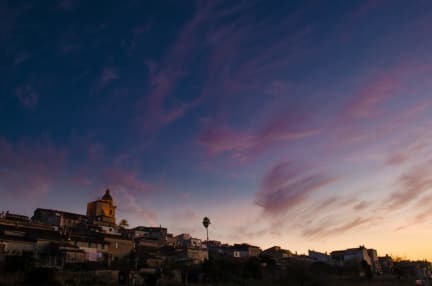 From Montuïri you can visit traditional markets, archaeological centers, monasteries, cycle routes and a long range of possibilities that will make your stay with us unforgettable. Restaurants in the area where cooking following the recipes of ancestors. Dream beaches 30 minutes by car. Visit the famous beach of Es Trenc. Simple but comfortable rooms for couples, groups of friends or athletes who want to enjoy good moments of culture and gastronomy of Mallorca. All rooms are fitted with a private or shared bathroom. The rooms are spread over 2 floors. 2 bedrooms with private bathroom and the other with bunk beds and shared bathrooms. Each floor has 2 shared bathrooms in the basement silver and 2 batteries of shared showers. We service breakfast every day and dinner on request. Breakfast not include - €5 surcharge.